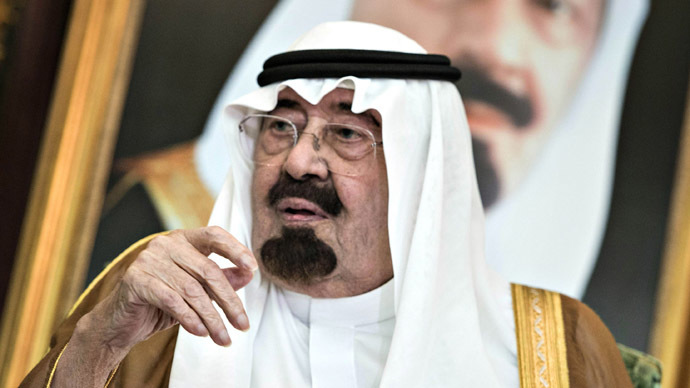 Critics are taking Western leaders to task for singing the praises of King Abdullah, the recently deceased 90-year-old monarch of Saudi Arabia, whose regime they claim was marred by countless human rights abuses, warmongering and corruption. US Secretary of State John Kerry described the late king as “a brave partner in fighting violent extremism who proved just as important as a proponent of peace." However, prior to a 2013 law which banned terrorist financing, Saudi Arabia had been described as “the most significant source of funding to Sunni terrorist groups worldwide,” according to US diplomatic cable leaked by WikiLeaks. 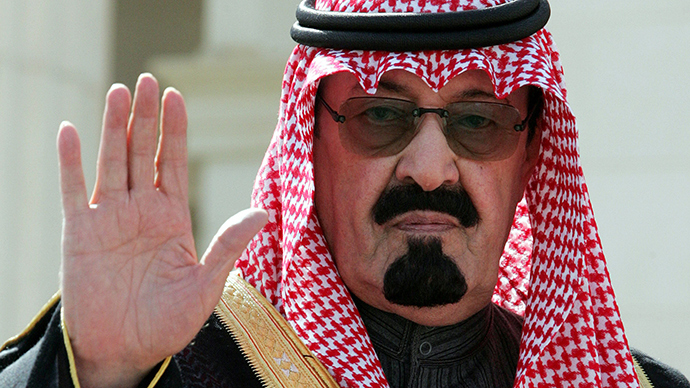 Another leaked cable revealed that Saudi King had urged the US to strike Iran in order to destroy its nuclear program. Abdullah was recorded telling America to “cut off the head of the snake,” in a 2008 meeting with General David Petraeus. 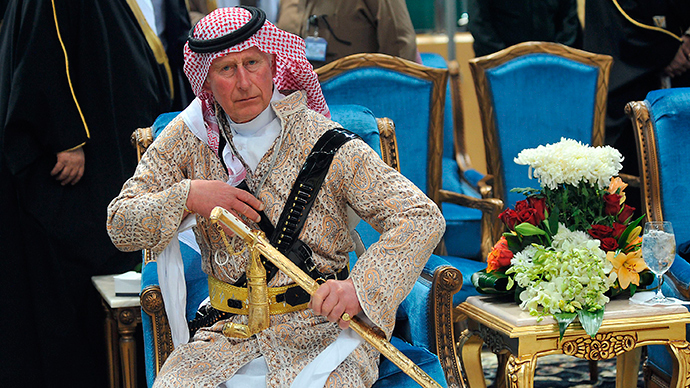 Prince Charles has also flown to Saudi Arabia to pay his last respects to the late monarch. The Prince of Wales has made frequent visits to the oil-rich kingdom, even participating in a ritual sword dance alongside members of the royal family last year. He is believed to have been a close friend of Abdullah. 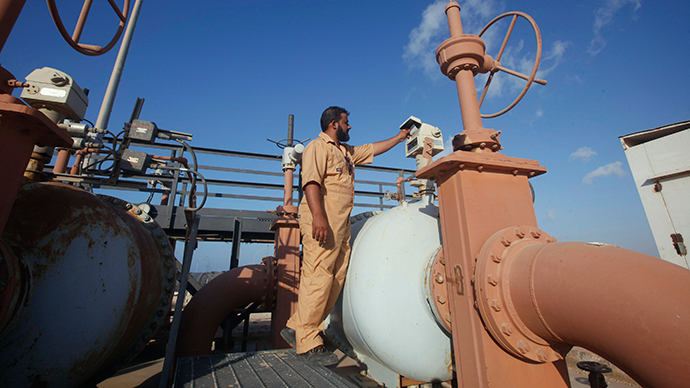 Critics note that the monarch repeatedly moved to engineer further conflict in the Middle East. For instance, Abdullah had called on the US to provide more backing to the Sunni rebels fighting to overthrow the Assad regime in Syria. In an Elysee Palace statement, France also lauded King Abdullah’s "vision of a just and lasting peace in the Middle East." 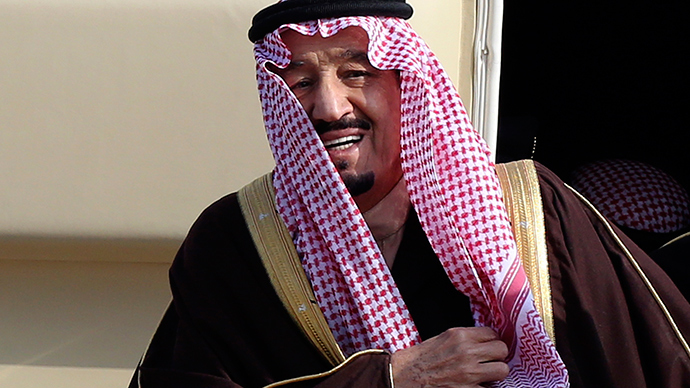 Despite limited efforts, characterized by Human Rights Watch (HRW) as “marginal advances that failed to secure the fundamental rights of Saudi citizens to free expression, association, and assembly," Abdullah was unable to curtail his kingdom’s routine rights’ violations, including public floggings of dissidents and executions for sorcery. Abdullah was widely praised in the West for sponsoring an eponymous coeducational graduate-level university, a breach of the taboo in the only country in the world where women are forbidden from driving. Standing up for basic human rights can be challenging, if not dangerous in the ultraconservative kingdom. King Abdullah’s four daughters, for example, have been kept locked up by their father for some 13 years for speaking out against the country’s oppression of women. “What is the crime of 99 percent of women in this country, who are basically suffering under male guardianship? A male guardian can do whatever he wants; he can cut off everything and she is left with nothing,” they told RT in an interview last year. “In a very discreet way, he was a strong advocate of women. It was very gradual, appropriately so probably for the country. I discussed that issue with him several times and he was a strong believer,” she said. Last summer, HRW noted a surge in executions in the kingdom. Between August 4 and August 21, the country executed at least 19 people, eight for nonviolent offense, like drug smuggling and sorcery. Convicted criminals are usually beheaded, though those convicted of crimes of morality such as adultery can be stoned to death. In recent weeks, thousands gathered at Saudi embassies around the globe to protest the ruling against Raif Badawi, a Saudi blogger who was sentenced to 1,000 lashes and 10 years in prison for setting up a website that undermined general security and mocked religious figures. The blogger had originally been charged with apostasy, or abandonment of religion, a crime that is punishable with the death penalty. In spite of this seemingly appalling human rights record and sketchy foreign policy peppered with warmongering, Western leaders are putting up a united front of support for the late monarch. Many have taken to Twitter to lambast the apparent hypocrisy of these venerating eulogies. Some have even coined the #JeSuisAbdullah hashtag, expressing wry scorn for what they believe to be a tyrant glowingly misremembered because of his country’s strategic importance to its Western allies. Imagine how the US media would be talking about King Abdullah if he were a US adversary rather than close & loyal "ally."